When looking for insurance, owning (and moving) a tiny house creates some unique challenges. Let’s talk about the 2 kinds of insurance most tiny housers will need. Let’s say you’ve just finished building your house and now you need to tow it to its final location (assuming it was built somewhere other than it’s final resting place). 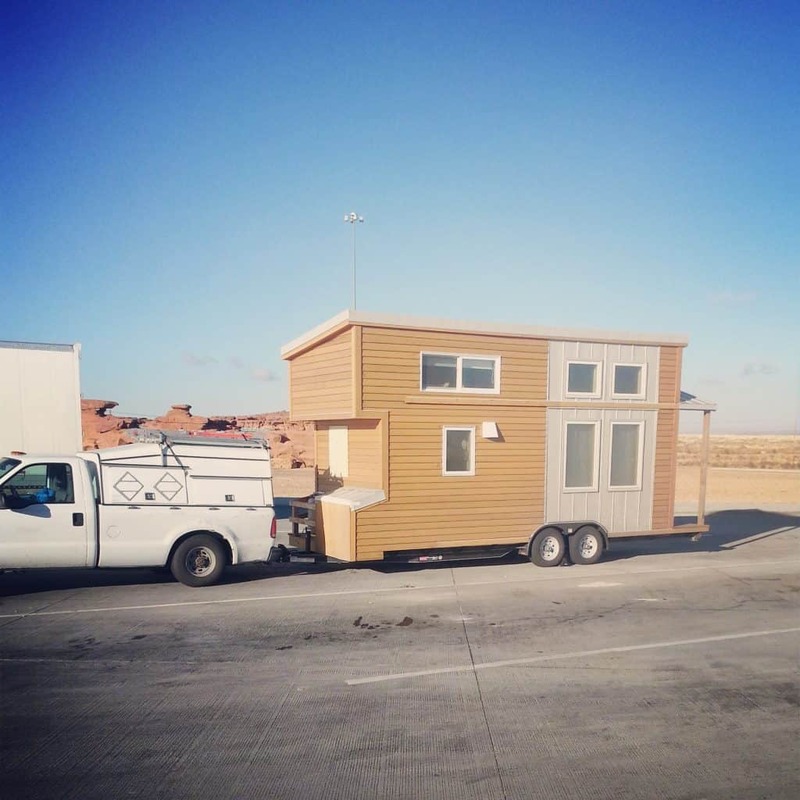 Some people choose to hire a professional towing company (many now have experience with tiny houses), which can be a great option. It helps put your mind at ease knowing someone with lots of towing experience will be behind the wheel of the tow vehicle, and, maybe best of all, all towing companies should be fully insured against any loss (check to make sure they are!). By hiring a professional towing company, you can skip the insurance difficulties altogether, and let others take care of that part for you, knowing your house is covered while getting from point A to point B. But this all comes at a cost – potentially thousands of dollars for a longer, multi-state move like we did. If you already have full-sized truck (more about what kind of truck you’ll need), you can easily do the towing yourself. But be aware, if you do this, any time your house is on the road it won’t be covered by your regular auto insurance. If someone was to rear-end you and smash your house, you most likely not receive a dime for damage to house, without a very specific insurance that covers it. That being said, it is possible to insure a tiny house while towing. First off, you’ll need an insurance agent. There is no chance I’d have pulled this off on my own. I needed someone who had a relationship with the underwriting company, who knew all the lingo, and who knew what NOT to say, to keep the insurance company from getting the wrong idea. At first I was naive enough to think that I could do this myself by telling the insurance company that it was simply a load on a trailer that I wanted insured. But of course they’d ask what the load was, and unless I flat out lied, any answer I gave would lead to a bad place in their mind. So do not attempt to negotiate this with your insurance company on your own. With a great insurance agent helping us (Neil Gritz, owner of the Insurance Resource Center in Fairfield, IA), here’s what we ended up getting. We had the house categorized as a modular home, insured as part of a commercial trucking policy. The technical name for the type of towing we were doing was referred to as a “mobile totor.” But it get’s more complicated. Our truck (and trailer) had to be insured as part of the commercial trucking policy, and — here’s the kicker — in order to insure the house (or anything we towed, for that matter) WE COULD NOT OWN IT. This type of commercial policy is meant for towing other peoples’ stuff for pay. So in order for the insurance company to go along with it, I had to assure them that I did not in fact own the house. BUT I DID own it! So how was I to make this work? Simply put, I pretended to sell it to my parents. Technically, I did sell it to my parents. I had an experienced builder perform an appraisal, wrote out a detailed sales agreement, had it signed and even notarized, and I had my parents make a down-payment — all this with conditions laid out for the remainder of the cost to be paid on delivery to California. One we got to CA we simply agreed to cancel the sale, and I returned the down-payment made. But during that part of our journey, they were the legal owners of the house, so it could be fully covered under my commercial trucking policy. It was a lot of hassle to get this type of tiny-house-covering auto insurance, but given the length of our trip, there was no way we were going to do it uninsured. I can’t say for certain what would have happened had we needed to file a claim (would the company honor our policy or find fault with the way it was set up? ), but in the end we were lucky enough not to need it. This worked for us, but I’m sure others have found other ways to insure their tiny houses while towing. Please share your experienced, as I’d be interested in learning about other options. Once your house is sitting somewhere long enough for you to start living in it, then of course the goal would be to have it insured by a homeowners policy, just as would be done with a normal house. To start, it’s quite simple (and hassle free) to get a renters policy. This will cover your possessions in the house (but not the house itself) were anything to be damaged or stolen. I recommend getting such a policy to be at least partially covered while you search for a more comprehensive homeowner’s policy. Many auto insurance companies do renter’s insurance too, so you can just combine it with an existing policy (maybe even at a discount). 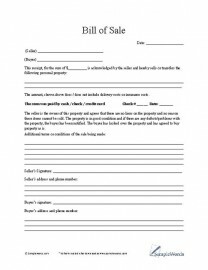 You will need to provide the name of a licensed and insured electrician who did the electrical work on your house. If you did it yourself (or your electrician was not licensed) then an electrical inspection (which you must pay for) is required in order to get insurance. A general inspection is also required, though I hear it’s not too intimidating (they have not done this yet as we are just signing the policy papers now). For those living in the aforementioned states, this is a really a great new development. With all the tiny houses out there now (or soon to be built), I think more and more companies will step up and start to offer something similar. There is a lot of money to be made (and tons of social, word of mouth advertising to be gained) by the first company to offer this type of insurance nationally. I’m surprised it is not available already, but with the new Tiny House reality TV shows and other national attention, that tiny houses are getting, I think it soon will be. But do I need insurance at all? Another thing worth mentioning is this: What about opting out of the insurance system altogether? Why not take a risk and live without insurance? Isn’t tiny house living about breaking out of the current housing paradigm? Well yes, and for some, this is a completely valid line of thinking. I’d be very tempted to go uninsured myself, but I did spend a considerable amount (of time and money) on my house, and am not yet at a place where I feel comfortable leaving it unprotected. 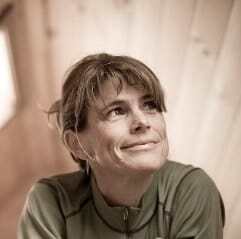 I know Dee Williams did not have her house insured for the longest time (and may not still). Her reasoning was that with all the money saved over the years on rent, that savings WAS her insurance policy. This is true (or could be for those able to build up a savings), but many may seek more of a safety net, and for you, I hope you found this post helpful. ← Tiny houses are better with folding redwood decks! I was going to say mine was a camper, because I was going to live on a camp ground most of the time. What kind of insurance should I get? I will hall it behind my van. Hi Poppy — Your insurance company will probably not insure it as a camper unless it was built by a licensed RV manufacturer. Did you build your tiny yourself? Check with your local insurance agent to see if they can help. One of the things I can’t stress enough is to work with an agent. If you try to talk to the insurance company yourself, 99% of the time they will say no before you can even get 2 sentences in. Thank you so much for this info!! I’m planning to take my tiny home on the road and might move every 6-12 months (depending on my work schedule) so looking into insurance is on the checklist. Another couple possible options to ‘not own your own home’ when you don’t have someone you trust to temporarily sell it to are a) form a corporation and make the home a corporate asset, or b) form a revocable trust and put the home into the trust. Unless you’re the type who is comfortable following a book like Nolo on Corporations, or Trusts for Dummies, these options might require a lawyer’s assistance. However, they would be longterm options so you wouldn’t have to go through the gyrations of a temp-sale if you wanted to move the house again. Don’t mean to be morbid but another benefit of either option is it would also let you designate who gets the home in case of death so if you don’t have a will, at least the house distribution is taken care of. Just in the planning and finding recyclables to include in my build……about 45% of the materials have quickly “appeared” and my imagination is on overdrive. Best of luck to all you other diy ers out there. Remember one mans junk…….. Thanks for the great information. I’m forced to start over again in life at 62. Tiny House is the way to go. Your post will save me some headaches and money. Thanks Again. Ps, I like your house. Alex, I am grateful for your pioneering work! My partner and I are looking to build a tiny home to take on the road to goodness-knows-where and for goodness-knows-long, a road trip around the US with stays ranging from 1-3 months, to maybe 6 months or longer. For all intensive purposes we will be doing an “RV Trip,” just with our tiny house, and want the flexibility of staying longer in a place if we like to or up and leaving if we want (or have) to. Background information out of the way, my question is: should we build the house and then work with the agent, or would it be more beneficial to the building process if we worked with an agent beforehand. Also, to pull off the ownership Judo, could my partner and I (who aren’t legally married) just switch ownership between us for every move, or does it require a party that has a legal address. If so does that address have to be the destination, for example can I list my parents in California but then still drive the “delivery” insured to Florida? It’s never to early to chat with an agent about it to see if there any steps you can take ahead of time to make the insurance process easier. With regards to ownership, you wouldn’t need to switch back and forth. If you ended up getting the exact same kind of insurance as we did, you’d just need to set it up so the on with the trucking policy did not own the home. So one of you would need to claim ownership of the house, and if they have not already paid for most of the materials, then there should be some kind of paperwork and financial transaction to make that legit. I’d talk a lawyer about that if you can, to make sure it’s clear that the one towing would not be seen as partial owner. They do not ask for an address, or anything like that. The insurance company will just ask you if you own the property you are towing, and the answer has to be “no.” Now I’m not positive what would have happened if we actually needed to file a claim (would the “sale” of our house pass muster with the insurance company?). I have no way of knowing, so if you plan to be on the road a lot, as it sounds you do, then you’d want to make sure it’s rock solid. Have said all that, the single best way for you to do this (if it’s not too late), is to have your house built (or inspected, maybe?) by a RVIA certified manufacturer (https://www.rvia.org/) — that way it can most likely be insured as an RV, considered by the insurance company as safe since it was professionally built to RVIA standards. I would love to answer any questions that you have about insurance for your tiny home. Don’t hesitate to reach out to me regardless of what stage you are at in the process. Alek, we are looking to expand our tiny home insurance but we need data to take back to the insurance carrier. We need to know what states that the greatest amount of interest. Will you please share our website and have individuals fill out the form to let us know where they need us to go next? 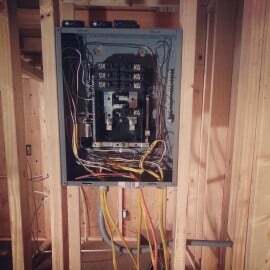 How do you go about having your tiny house and tiny house wiring inspected? Is this something you could then show to other/future entities (e.g. building inspector)? Is there a different inspection needed for solar homes? I know some traditional insurance companies will now offer tiny house insurance in certain areas, but I don’t know anything about SC specifically. You may want to contact a Farmers agent, as I’ve hear they sometimes do it. Not sure about construction insurance, but you can check. I’m sorry for your troubles. The construction policy isn’t available in all of the states and we’re trying to find you other options. I plan on building my tiny home using a steel shipping container. Is the weight of a unit considered in obtaining insurance? I’m not sure all the factors that insurers use to quote a insurance premium. Weight may be a factor, but I don’t think it’s all that important. You’d have to ask a specific insurer for more info.